First Coast Connect Host Melissa Ross and City Council President Aaron Bowman during Tuesday's First Coast Connect. Jacksonville City Council President Aaron Bowman was our guest Tuesday on First Coast Connect where he discussed a wide range of topics and took listener calls. 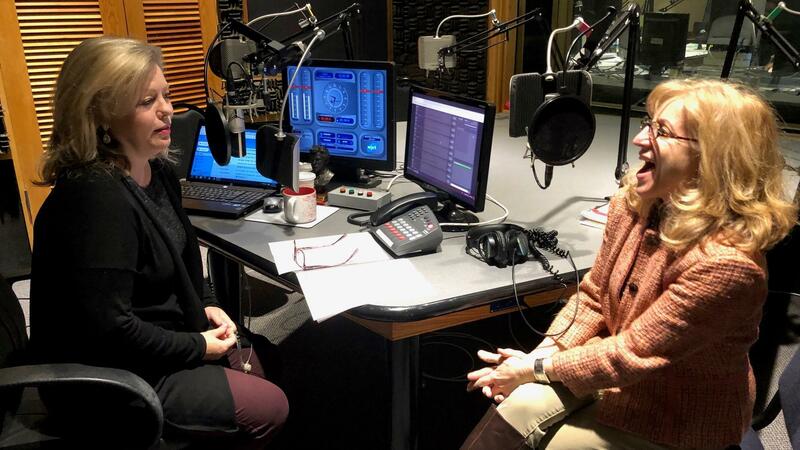 Stacey Goldring (right) joined Melissa Ross in Studio 5 Tuesday. If you’ve got a book lover in your life, there are plenty of good gift ideas out there during the holiday season. First Coast Connect Book Club leader Stacey Goldring ran down some jolly ideas for your gift list consideration. Leigh Cort of the Women’s Food Alliance spoke with restaurateur and now gallery owner Ellen Cottrill. Cottrill is perhaps best known for her role with her former HOBNOB restaurant that was at 220 Riverside. She’s now working on a new website called Art Sales and Stories, along with a new brick-and-mortar location that's coming soon. Dan Nevins started Warrior Spirit Retreat to empower warriors with new tools for healing. Local veteran and speaker Dan Nevins inspires audiences around the world with his message of perseverance, resiliency and hope. Nevins was severely injured during combat in Iraq in 2004 after an improvised explosive device detonated beneath his vehicle. He lost both legs below the knee, and lives with a traumatic brain injury and the emotional wounds of war. 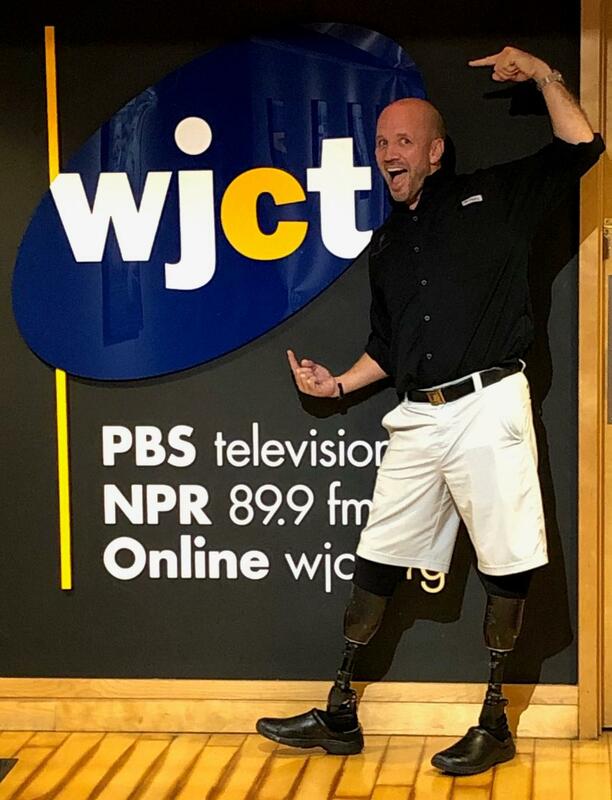 Nevins credits the Jacksonville-based Wounded Warrior Project with his successful rehabilitation and the power of yoga. He’s taught yoga around the world. This month, he’s leading a unique retreat right here in our area. He recently decided to take his advocacy work one step further and created the Warrior Spirit Retreat, a nonprofit that empowers warriors and their families to pursue greater possibilities. The Crescendo Amelia Big Band has two holiday performances coming up, appropriately called, "How the Big Band Stole Christmas." The band includes close to 20 members. Lead singer, Marah Lovequist and show producer Dennis Negrin joined us with a preview of what audiences can expect. Holiday favorites will be performed by the band December 14 at Theatre Jacksonville, and December 21 at Fernandina Beach Theatre. Additional information is available here. If you need health insurance for next year, the deadline to enroll in coverage in the Affordable Care Act for 2019 is this Saturday, December 15. Now that marijuana is legal in Florida for medical use, the next step for pro-pot activists is legalizing it for recreational use.